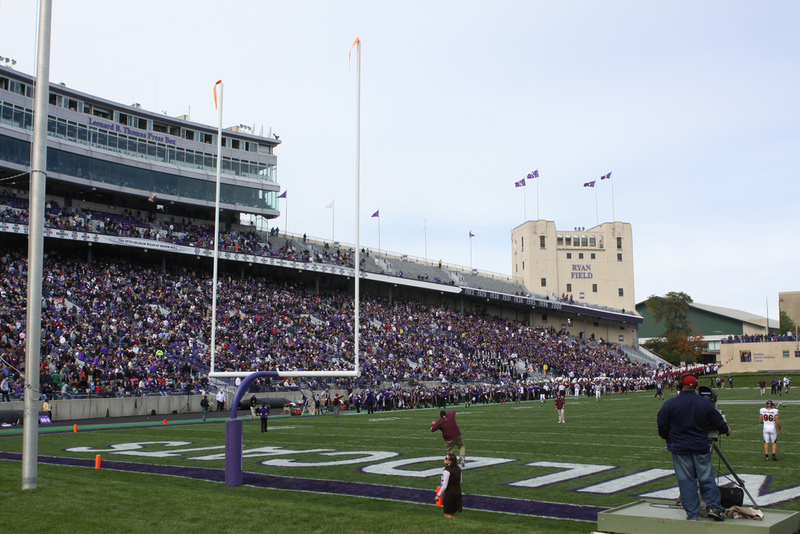 Ryan Field is the home football stadium of the Northwestern University Wildcats football team. Ryan Field opened in 1926 and has a capacity of 47,130. Prior to 1997, the stadium was named Dyche Stadium, for William A. Dyche, class of 1882, former Evanston mayor and overseer of the building project. The naming rights to the field were sold in 1997, for $8 million dollars, to Patrick Ryan, who was the chairman of the school’s board of trustees at the time. Ryan Field had an artificial turf surface from 1973 to 1996. Prior to the 1997 season, natural grass was installed and the playing surface was lowered approximately five feet to improve sight lines from the lowest rows of the grandstands.